Item # 314589 Stash Points: 2,795 (?) This is the number of points you get in The Zumiez Stash for purchasing this item. Stash points are redeemable for exclusive rewards only available to Zumiez Stash members. To redeem your points check out the rewards catalog on thestash.zumiez.com. 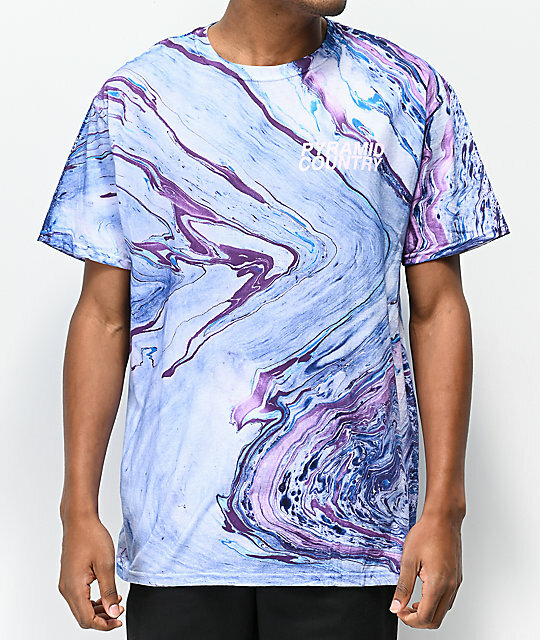 Ooze a vibrant new look dressed in the all-new Pyramid Country Cotton Candy Marble Dyed T-Shirt. With a colorful construction that garners plenty of attention, this dyed t-shirt comes complete with logo script upon the left chest while the back displays the brand's signature "Glogo" logo emblem on the back. 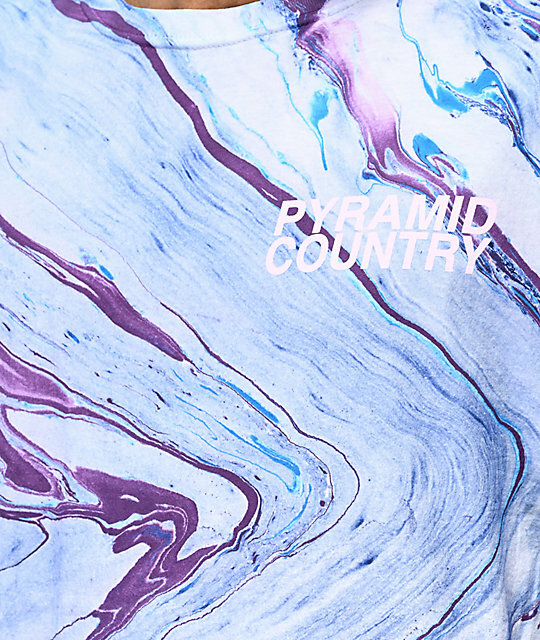 Cotton Candy Dyed T-Shirt from Pyramid Country. 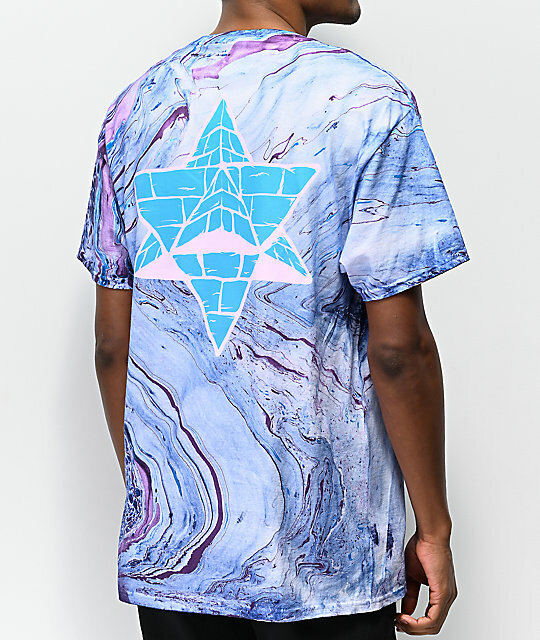 Blue, white, purple and pink "Cotton Candy Marble" dyed colorway throughout. Screen-printed logo script on left chest and large graphic on back.